Buying or selling a property in CA is a big decision, which is why it’s more important than ever that you choose the right real estate professional. Brenda has been living and loving the California lifestyle all her life. As a native of Northern California, she enjoys sharing her knowledge of this great community with clients, colleagues and friends. She’s a licensed REALTOR since 2003, Representing both buyers and sellers of residential homes and land. Brenda started a house cleaning business right out of high school. She obtained her Interior Design degree from Sheffield School of Interior Design in 1999 and then spent several years designing residential and commercial interiors. Brenda Brown Luxury Homes was formed in 2013 . Brenda’s slogan, “From castles to cottages” represents that luxury homes do not have to be expensive. Luxury homes represent a home that has been well taken care of and the attention to details is what defines it as luxury. Brenda’s passion for homes shines through in everything she does and her commitment to exceptional service is well known with her past clients. 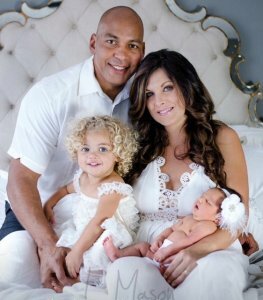 Brenda is married with two beautiful daughters Ava and Aliyah. She balances being a mom and running a real estate brokerage and loves the challenge of both! As a full service residential boutique real estate firm, Brenda Brown Luxury Homes, Inc. is the epitome of customer service, focusing intently on the clients needs and satisfaction. Brenda’s passion is serving YOU – real estate buyers and sellers throughout South Placer County. She offer her clients concierge level service, the very best in sales strategies and state-of-the-art marketing. She operate with the utmost integrity and professionalism, remembering that her practice is client-centered and client-driven. Her clients and the needs of her clients always come first. She understand luxury real estate—and the needs of luxury home buyers and sellers. Brenda Brown-Williams is a certified luxury home specialist. Brenda’s clients find it refreshing that her services benefit them before, during and after each transaction. She is committed to providing the best customer service to buyers and sellers. Her drive, professionalism and integrity help maintain her ranking as a top producer; while her warmth and honesty make her a trusted friend to clients. Brenda’s clients also appreciate her candid evaluations, abilities to analyze market changes and trends, guidance on pricing and negotiations, and extensive knowledge of the most aligned residential offerings. She also understands the importance of confidentiality in business matters and brings an impressive mix of business and personal experience to her daily work. Brenda’s ability to promote a home in the highest level of professionalism and a timely, effective manner are the hallmarks of her success. She was recently awarded the prestigious Certified Luxury Home Marketing Specialist designation with Million Dollar Guild status. It is Brenda’s primary goal to form a solid relationship built on integrity, value and service. Please let her know how this group of professionals can help you. Or if you know someone who would benefit from the personal attention they give their clients, please help them connect.